Sakina's Resturant Event homeCustomer reviews HamiltonThe PromNetworkTo Kill a MockingbirdKiss Me KateHadestownOklahoma! A new, first-class Broadway version that at times raises its sparkle quotient to incandescence. Charm is an undervalued quality in the theatre these days, but this delightful one-man show proves just how winning it can be. 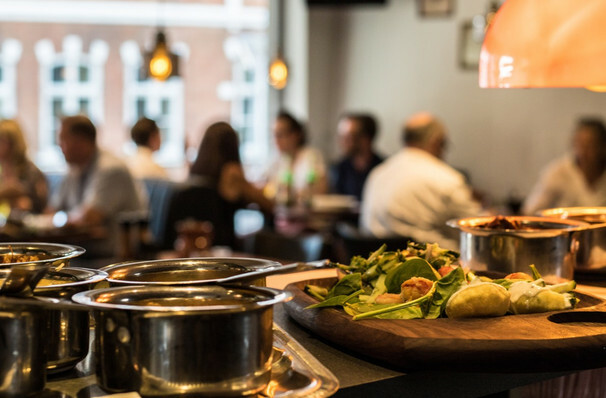 Kicking off their brand new creative relationship with the Off-Broadway Minetta Lane Theater, audio book company Audible presents a groundbreaking slate of upcoming productions, including British American Daily Show correspondent, comedian and actor Aasif Mandvi's 'Sakina's Restuarant'. First debuting 20 years ago, the Obie Award-winning one man tour-de-force is an effervescent and touching spin on the American Dream, as told from the perspective of an immigrant waiter in New York. Weaving together themes of immigration, family ties and both the heartbreak and joy that comes with leaving your home and finding a new one, 'Sakina's Restaurant' follows lead character Azgi, a young Muslim who leaves his small village home on the Indian subcontinent for a new life in the states and winds up at an Indian restaurant in Manhattan. Mandvi also brings a host of other colorful characters to life, including restaurant owner Hakim, his wife Farrida and their children, Sakina and Samir, as well as Sakina's American boyfriend. Amidst culture clash and confusion, this moving tale about the very real lives behind often meaningless statistics warms the heart and offers hope in our turbulent times. 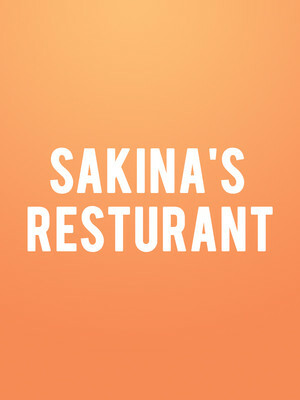 Seen Sakina's Resturant? Loved it? Hated it? Help your fellow New York City Theater visitors by leaving the first review! Sound good to you? Share this page on social media and let your friends know about Sakina's Resturant at Minetta Lane Theater. Please note: The term Minetta Lane Theater and/or Sakina's Resturant as well as all associated graphics, logos, and/or other trademarks, tradenames or copyrights are the property of the Minetta Lane Theater and/or Sakina's Resturant and are used herein for factual descriptive purposes only. We are in no way associated with or authorized by the Minetta Lane Theater and/or Sakina's Resturant and neither that entity nor any of its affiliates have licensed or endorsed us to sell tickets, goods and or services in conjunction with their events.